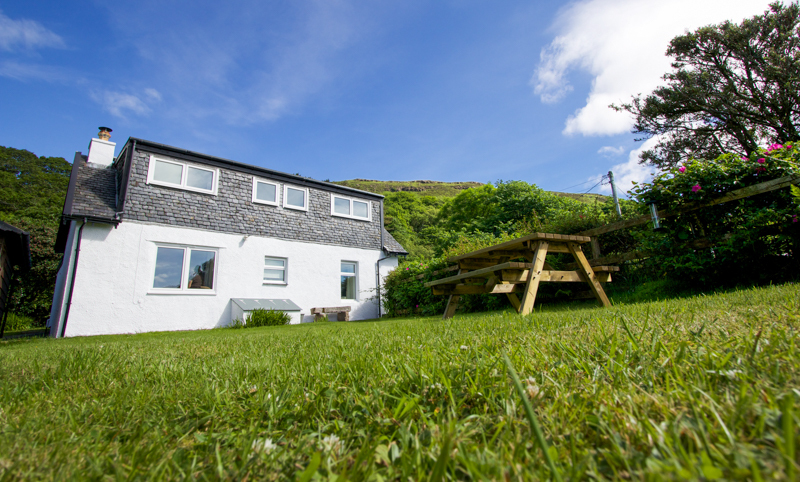 Kellan Mill Lodge sits alongside the north shore of Loch na Keal, an area of outstanding beauty. The cottage has amazing views across the loch to the summit of Ben More. Sleeping four people the house has a double ensuite and a twin bedroom. All rooms in the house have sea views and there is a wood burning stove and wifi provided. This is a great choice for wildlife watching with regular sightings of white tailed eagles over the loch.